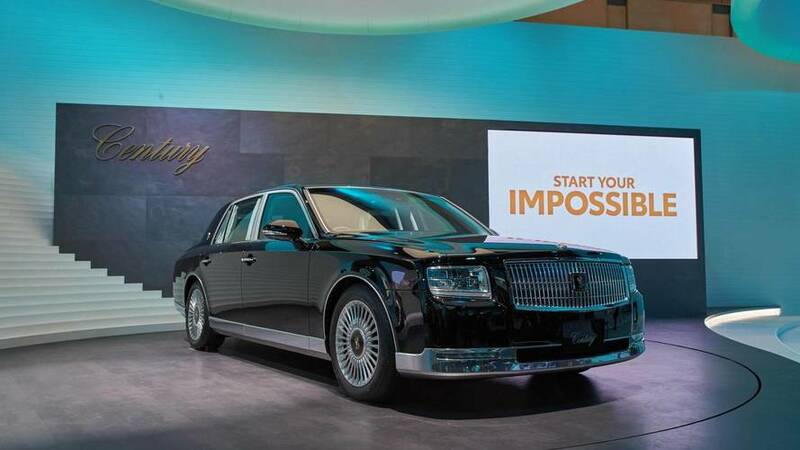 The Century has been around since 1967, but this is only the third generation of the fullsize flagship sedan. No, you don't have to check your calendar. We haven't gone back in time as it's still 2017. If you’re a fan of sedans from yesteryear, you are going to like the design of Toyota’s new-for-2018 Century. A Japan-only model, the stately four-door model will carry over the old-school appearance of its rear-wheel-drive predecessor, but in a larger body as the overall length has increased to accommodate a stretched wheelbase. Getting in and out of the car will be easier than before since the height of the door opening is now bigger and the rear doors are longer. The boxy, no-frills shape has its own charm especially taking into account this is a very big and imposing car, one that’s 5335 millimeters (210 inches) long, 1930 mm (76 in) wide, and 1505 mm (59 in) tall, with a massive wheelbase measuring 3,090 mm (121 in). Don’t let the classic look trick you into believing this is an outdated car as it features the best Toyota can offer nowadays, including adaptive LED headlights, the full range of safety systems, and a hybrid powertrain. While its predecessor launched in 1997 came with a V12 engine (yes, a V12), the new Century has downsized to a 5.0-liter V8 part of the Toyota Hybrid System II to achieve a best-in-class fuel consumption. Details are rather scarce right now, but the Japanese marque says its new large sedan has a “two-stage motor speed reduction device” to ensure a silent ride experience. The combustion engine carries the “2UR-FSE” codename, which means it’s related to the one inside the old Lexus LS600h where it churned 394 horsepower (290 kilowatts) and 383 pound-feet (520 Newton-meters) of torque. To guarantee a silky smooth ride, Toyota has installed newly developed tires that not only reduce road vibrations, but also generate less noise. For the very same reasons, bespoke engine mounts have been developed, along with an active noise control system that automatically kicks in when the engine starts. Given the sheer size of the Century, it’s no wonder there is an abundance of legroom for the rear passengers sitting on those extra-wide seats. There is now more headroom than before as the ceiling has been raised a little bit, while the seats are covered in 100% wool on the lower-end versions whereas the more expensive ones get leather. The adjustable rear seats boast a massaging function and come with an adjustable electrically operated leg rest to help you find the ideal position. Between the two throne-like seats is an LCD panel granting access to a multitude of functions, such as audio, climate control, and fiddling with the seats. Toyota has also thrown in a 20-speaker sound system, a rear-seat entertainment system, and even a writing table for its luxury limousine. 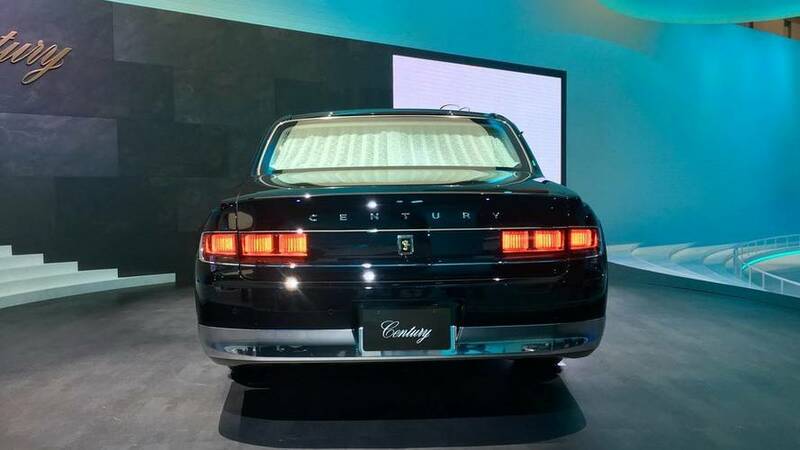 The third-generation Century is going to be on display starting October 25 at the Tokyo Motor Show where the new Crown will be there as a near-production concept. Toyota City, Japan, October 4, 2017―Toyota Motor Corporation (TMC) is scheduled to showcase the new Century (to be released in the middle of 2018) at the 45th Tokyo Motor Show 2017*1, taking place from October 25 through November 5 at Tokyo Big Sight. The theme of this year's show is "Beyond the Motor." The new 3rd generation Century carries on the tradition of master craftsmanship and high-quality monozukuri (all-encompassing manufacturing) while realizing high-demand environmental performance and a design layout that pursues passenger comfort. The interior and exterior design injects new charm into the Century in line with its heritage. 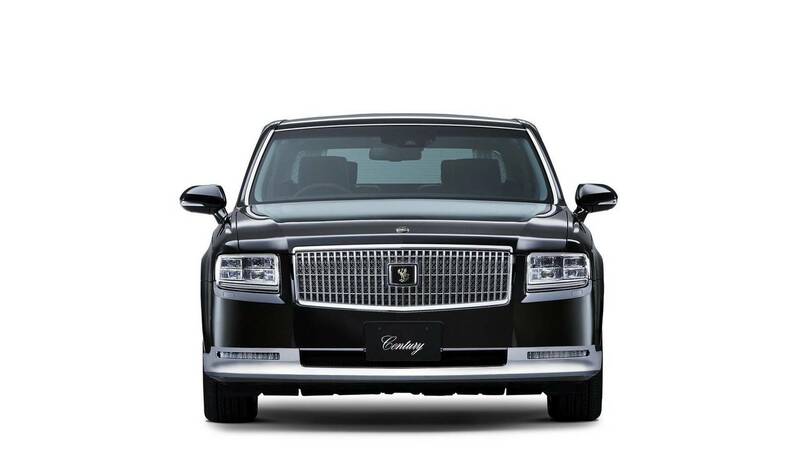 Moreover, the new Century features advanced equipment and comfort amenities only suitable for a luxury limousine. 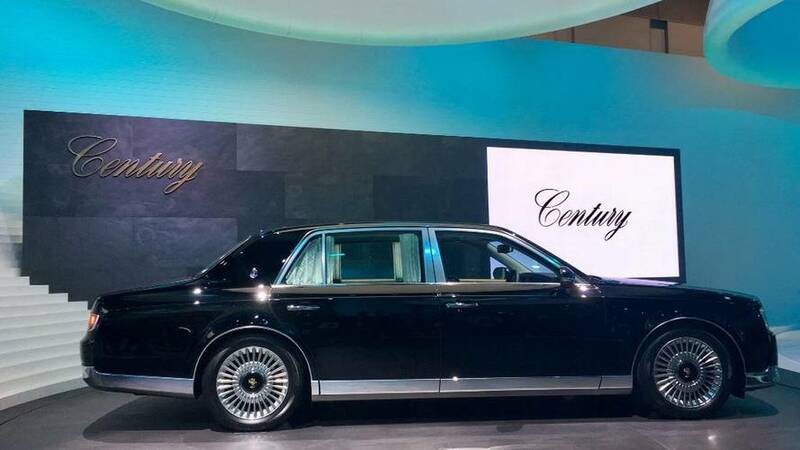 Specifically, the Century is now powered by a 5.0-liter V8 hybrid system for outstanding fuel efficiency. In addition, the wheelbase has lengthened, the height difference between the scuff plate and floor has decreased, and the height of the door opening has increased, all of which are refinements improving the rear seat riding experience. The intricately glamorous and chic exterior is highlighted by traditional Japanese design elements used throughout the car including the grille and black trim on the rear combination lamps. The interior features a raised ceiling*2 design and exclusive fabric while the adjustable rear seats (with massage function), are upgraded with a power leg rest for first-class comfort and a sophisticated riding experience. *1The 45th Tokyo Motor Show 2017 is to be held at Tokyo Big Sight in Tokyo's waterfront area from October 25 through November 5, with press days on October 25 and 26, a special-invitation day on October 26, a preview day on October 27, and general public days from October 28 to November 5. *2The raised ceiling is an architectural ceiling design with additional height in the center area. Increase in vehicle length, wheelbase, and tread exudes a roomy and dignified style. Ample comfort is provided to rear seat passengers through the increased space created by the expanded wheelbase. Additionally, the rear seat riding experience has been improved through the decreased height difference between the scuff plate and the floor and the increased height of the door opening. The heritage of the Century can be seen at first glance from the front of the vehicle where the grille, lamps, and other elements blend seamlessly together creating a simple and modern aesthetic. The grille has a dual structure with a crown pattern applied behind the vertical grid and clearance lamps. The combination of three projector headlamps and LED Array AHS*1 produce a clear and distinctive appearance. While maintaining elegance in a horizontal foundational posture, the underbody, which dips slightly rearward, combined with the ascending rear cabin, secures the rear seat space and creates a supple movement when viewed from the side. By straightening the slope of the C pillar, the design focus of the cabin shifts to the rear, heightening the importance of the rear in appearance. Glamor is evoked from the three-dimensional lens of the rear combination lamps that emit a light of harmony. In the rear seat area, heather-patterned upholstery is applied from the backs of the front seats to the door panel trim, emphasizing horizontal space. The seat upholstery is made of high-quality materials, including 100% wool that is extremely flexible and soft. Models with leather interiors offer high-end, soft-textured upholstery. Similar to the rear seat area, the front seats utilize horizontal heather-patterned upholstery that emphasizes space. The black heather-patterned decoration in the center of the instrument panel expresses a noble and sophisticated interior. The step-less, adjustable power leg rest and adjustable rear seats (with a massage function) ensure a comfortable ride. A multi-operational LCD panel located in the central armrest enables passenger control of all seats, air conditioning, and audio controls. In addition to a specially-tuned suspension and high rigidity body, both driving stability and premium ride comfort are realized by the use of newly developed tires specialized for ride comfort and reduced road vibration. Optimization of the engine mount and the active noise control system reduces noise and vibration when the engine starts and achieves smooth acceleration and overwhelming serenity in the cabin. The 5.0-liter 2UR-FSE V8 engine using "D-4S*2" direct injection technology for low fuel consumption and high output is installed in combination with hybrid system (THS II*3) in pursuit of the lowest fuel consumption in its class. In addition, a two-stage motor speed reduction device realizes quiet and smooth driving. Safety features suitable for a limousine such as Toyota Safety Sense P collision avoidance support, blind spot monitoring, and rear cross traffic alert are adopted.